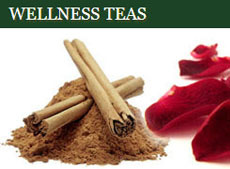 ← What’s Bugging Your Tea? Da Hong Pao is also known as Big Red Robe, a rough translation of the Chinese name. This is one of the top oolong teas, with a unique floral fragrance and the signature Wuyi rock tea taste and fragrance that set them apart from other oolongs, especially Tie Guan Yins. Wuyi rock tea is more about the taste but still has a fragrance that is a pure joy — deep and heavy floral and a feel that lasts after you have finished drinking the tea with its strong sweetness. When harvesting, they pick the top one bud with two leaves off each bush stem. They are sorted and processed carefully to maintain their tight bar shape. After processing, the bud/leaf pairs are dark brown color. They steep up a bright golden yellow liquid with a natural, fresh, and unique fragrance. Warm up the vessel with hot water and then pour it out. Put the tea leaves in the vessel, cover the gaiwan or Yixing pot, and shake for about 3 seconds, lifting the lid to smell the aroma of the dried tea leaves. Add hot water into the vessels, swish gently, and then pour out the water after about 8 seconds. For the first infusion, add more hot water into the vessel and steep for about 10-25 seconds (based on personal taste). For each additional infusion from those same leaves, add about 5 seconds steeping time. For example, 15 – 20 – 25 – 30 seconds and so on up to about 9 or 10 infusions total. Tea grown in the Wuyi Mountains is recognized as some of the best tasting quality tea available due to the altitude and how well protected the tea plantations are by the people farming them. 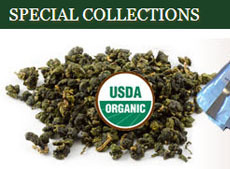 These tea farmers create different blends combining tea leaves oxidized for different lengths of time. As an oolong variety, wuyi tea undergoes complicated oxidation and production processes that make them in between green and black teas, producing a fruity, medium-bodied taste with about half the caffeine of a cup of coffee. It is also rich in polyphenols that have strong antioxidants that have shown to help ward off many health-related issues and disease. The Wuyi region is actually a range of mountains, partly in the Fujian province on the southeast coast of China on the Taiwan Straight. More precisely, they are located between Wuyishan City, located within the Fujian province of China and Wuyishan Town, located within the Jiangxi province. The terrain, besides being mountainous, is a subtropical climate and is well-suited to growing tea. 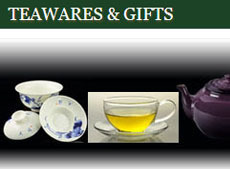 In fact, they have the largest number (336 varieties) of tea plants in all of China. Tea growing dates back over 1,600 years, according to historical documents. One of the most popular mountains of the Wu-Yi mountain region is Mt. Wu-Yi Shan. The region in total covers an area of approximately 70 square kilometers. The Mt. 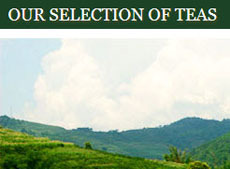 Wuyi Shan area has been known to produce some of the most prestigious teas. In addition, the Wuyi Mountains act as barriers against the inflow of cold air from the northwest. At the same time, the they protect and retain the naturally warm moist air that originates from the sea nearby to the east. As a result, the geographic area offers the perfect climate of humidity mixed with high rainfall, which commonly produces dense fogs in the mountains. The annual temperature range of the Wu-Yi Mountains is between 12 to 18° C.
This entry was posted in Oolong Teas and tagged chinese tea, JAS-eTea, Oolong Teas. Bookmark the permalink.